Training a dog right takes time – but can you find the time to train your dog? If not, you’re not alone: many dog owners are just too busy to train their dogs themselves. That’s why Bright Lights offers Day Training. 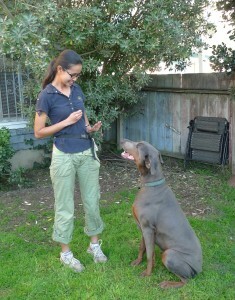 Day Training is dog training done at your home by a professional dog trainer. Bright Lights can provide Day Training while you’re at the office, or you can attend sessions and we’ll train your dog while teaching you how it’s done. We pride ourselves on coaching people with the utmost respect, compassion, clarity and patience that you can expect from a true professional. Ultimately you are the one who will be living with your dog, so It is important for us to communicate clearly with owners about how they can best support the progress their dog makes during training sessions. Additionally, there are some training issues that take more owner involvement and we provide personal attention while coaching owners with their pups. We do most of the heavy lifting for you, so training with your dog is easier and enjoyable. Every dog and family is unique, so we conduct an initial 90-minute Consultation Session at your home with you and your dog to determine how often and how many sessions would work best for your situation. 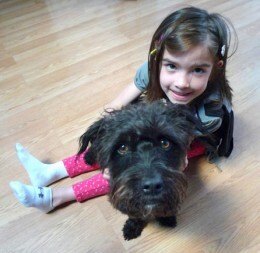 We focus the Consultation not only on how your dog behaves, but how you want your dog to behave. We then create a training program designed to create those light bulb moments and deliver your desired outcomes as quickly, efficiently, and effectively as possible. Shy & Fearful dogs: We help them build confidence and come out of their shells. Aggressive small dogs: We teach you to manage and help them overcome their fear of people or bigger dogs. $160 initial consultation 1.5 hours, $115 per hour of follow-up consultations. Package rates are available for puppy basic obedience.